Book Supreme Handyman Services in Kennington! A handyman Kennington is a specialist in painting & decorating , electrics, plumbing and all kinds of maintenance & home improvement. This means our pricing system is clear & transparent. The team of dedicated professionals always strive to deliver services of the highest possible quality. Each member of the team has a lot of experience in dealing with various kinds of home improvement projects. No worries, every handyman carries all the right tools to tackle any task! No Job Too Big Or Too Small No matter how odd a task may seem, don't hesitate to get in touch with us. 24/7 Customer Care Support Our friendly staff is at your disposal around-the-clock. Insured Service Every handyman Kennington carries public liability insurance. From cable tidying to adjusting cupboard door hinges, we can do it all! Simply give us a call! The handy technicians can assemble any kind of furniture regardless of the type and brand. Receive custom made furniture from highly – sourced materials. 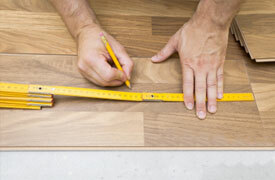 We fit & lay various types of wooden floors with expertise .